Tolerant Amsterdam is a good-looking city made up of canals, centuries-old gabled merchants' homes, cafés and museums galore. The city has made progress in attracting international businesses, and with this has followed their employees. Yet housing here remains among the most expensive in the Netherlands. Many expats prefer the convenience of renting rather than purchasing property in Amsterdam, although the cultural capital's housing shortage means high rental rates. 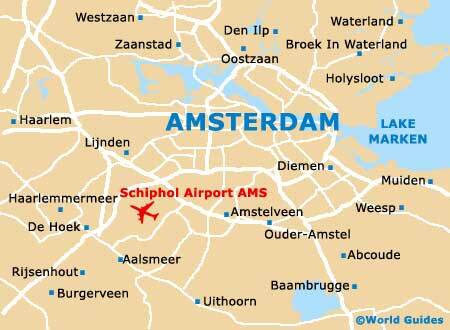 Therefore those that do purchase Amsterdam property may save themselves money. Property in central areas is more expensive to rent and purchase than property on the city's outskirts, with canal-facing, 17th- and 18th-century properties priced at a premium. Jordaan is the district of choice among young professionals and students while the cheaper, multicultural De Pijp neighbourhood presents good housing choices, as does the redeveloped banks of the Ij River. Serviced apartments are ideal for short-stay visitors to Amsterdam, since regular apartments require tenants staying for periods of less than six months to have a permit due to strict housing policies. Most serviced apartments in Amsterdam range from short-let apartments suitable for tourists, to corporate serviced apartments aimed at accommodating visiting business people. Prices vary according to location, facilities and number of beds. Extended stays usually net the best discounts. While not cheap, serviced apartments offer a cost-effective alternative to staying in a comparable hotel long term, at up to a 40 percent saving. They also tend to provide more space and greater privacy, but usually require a deposit of two months' rent for long stays. 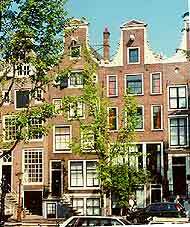 Foreign ownership of property in Amsterdam is not restricted, but non-EU nationals may find it difficult to secure a mortgage. Some new property requires owners to have a housing permit, for which you will need a residence permit. Rental yields in the city have recently fallen, making buying-to-let a less attractive option than before, yet yields are still good in comparison to other large cities in the Netherlands such as The Hague and Rotterdam. Factor in paying tax on rental income. A total of about ten percent of the purchase price should also be added for extras like estate agent and notary fees, as well as property registration costs. As much as 80 percent of the land in Amsterdam is municipality owned, with property owners leasing the land. It is worth noting, however, that leases run for specific amounts of time, so it is necessary to check the termination date of a property's lease, at which point the rent may be adjusted based on the value of the land at the time. Expats unfamiliar with Dutch property law are recommended to go through an estate agent when renting or purchasing property in Amsterdam. All agents are registered with the Financial Markets Authority (Autoriteit Financiele Markten), speak English and can offer help in searching for properties and arranging viewings, but note they charge up to two percent commission on the purchase price of any sales. This Amsterdam estate agent has a good selection of houses and apartments on its books. Specialising in apartment rental and sale, including the rental of serviced and long-stay apartments. Providing all the expertise you need to purchase an Amsterdam property, Berkers and van Delft is used to dealing with expats.